The Dubai Chamber of Commerce and Industry has opened an office in Maputo, Mozambique – its third international office in Africa. The move is part of its “strategy to reach out to the promising markets of the world, especially the African markets and to promote Dubai and the competitiveness of its business community globally”, the Chamber says in a statement. This is the fifth international office set up under Dubai Chamber’s international expansion strategy, which includes offices in Baku, Addis Ababa, Erbil and Accra, to promote and attract foreign investments to the emirate. It is seen as a window for UAE companies wishing to expand in Sub-Saharan Africa and to explore lucrative investment opportunities. The office was officially opened during the Chamber’s recent trade mission to South Africa and Mozambique. At the opening, Majid Saif Al Ghurair, chairman of the Dubai Chamber, noted that in 2015, Dubai’s non-oil trade with Mozambique amounted to Dh724mn: an insignificant amount in light of the potential possessed by the two countries. He added that these figures could be increased 10-fold if both the trading partners fully utilised their capabilities to develop co-operation, which could include operating direct flights. He called upon Mozambican companies to strengthen their presence in Dubai: there are currently only 29 companies registered under Dubai Chamber membership out of the 12,000 African companies operating in the emirate, he added. 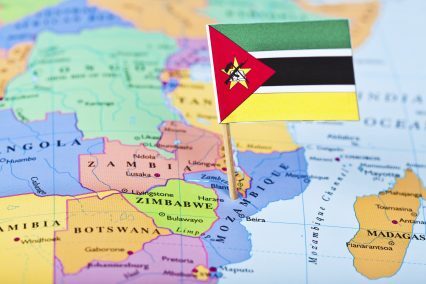 According to Mozambican official statistics, UAE investments in Mozambique amounted to US$1.47bn in 2015, which constitutes about 39% of the total foreign direct investment to the country, while UAE investments to Mozambique accounted for 30.7% of the total foreign direct investment in 2014. Dubai Chamber organised a public sector roundtable on the sidelines of the trade mission, where representatives of various Mozambican government agencies and authorities reviewed the opportunities in leading sectors such as agriculture, agro-industry and natural resources, tourism and transport in addition to logistics, industry and infrastructure. The Mozambican officials called for adding value to their industries including cotton, glass production, aluminium and iron, in addition to enhancing the packing and canning industries. The panel also discussed the need to benefit from Dubai’s experience in the logistics sector and power generation projects, as Mozambique has a scarcity of energy production, despite its potential to generate hydropower. Other areas of interest to UAE investors included tourism and providing transportation to tourist islands in addition to creating the ideal infrastructure for attracting tourism.